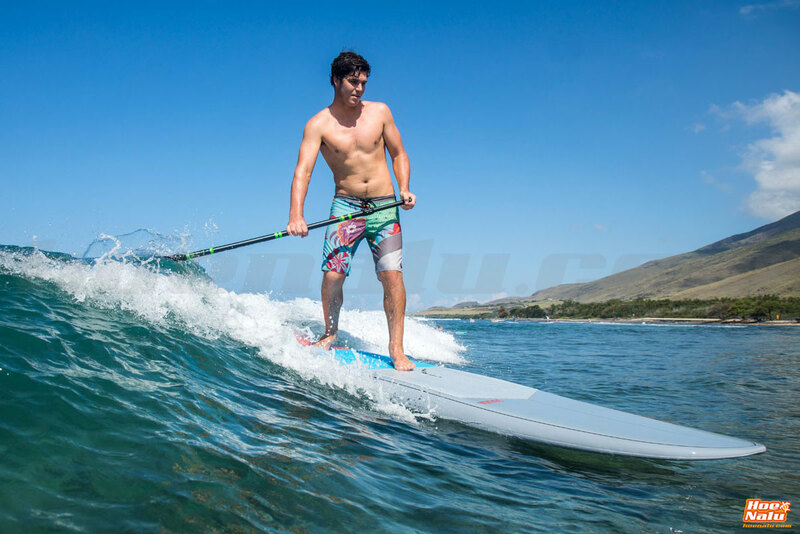 Naish SUP Mana 9'8'' GSX 2019 provides a steady platform for riders of all sizes looking for maximum stability while surfing small waves. The Naish SUP Mana 9'8'' GSX 2019 great for all-around cruising, touring, learning the basics and riding small waves, the Mana 9’8” GSX features an extra wide outline throughout the nose, midsection and tail, which delivers incredible stability. Adding to its sizeable sweet spot is a contoured deck, full rails and squared tail, which heighten stability whether a rider is pivoting, standing still, or traveling a straight line. 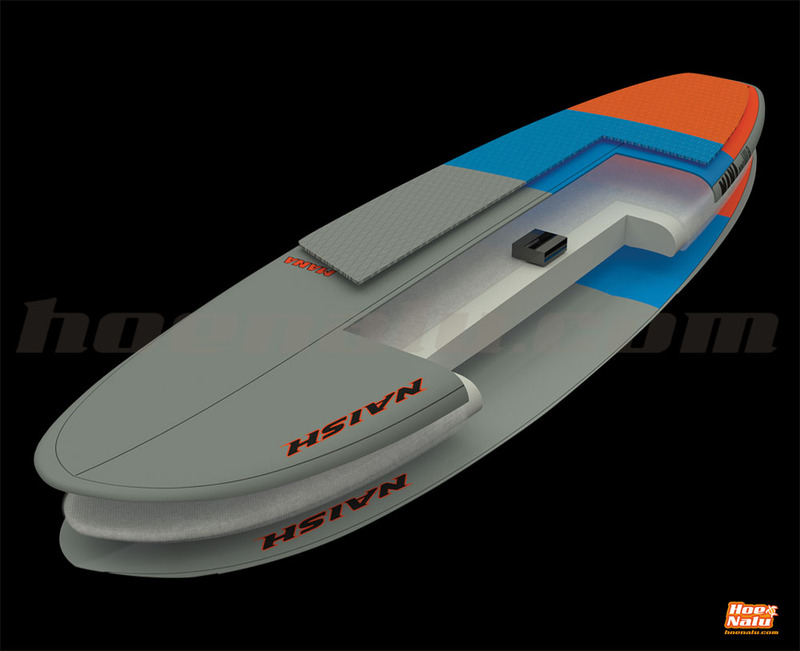 For those looking to cruise, this board’s quad-concave bottom channels water from nose to tail and delivers phenomenal straight-line gliding for a board of this length. 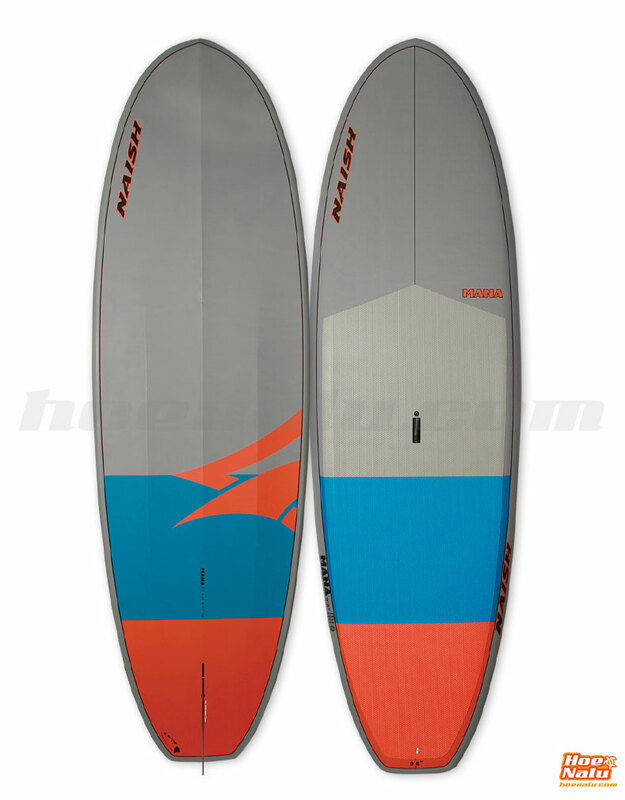 Features of Naish Mana 10'0"
Deck pad with kick tail in both constructions. Naish exclusive ergonomic handle for improved handling. 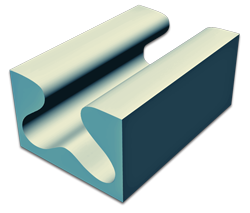 High Temperature, Pressurized Aluminum Molding = Consistent precision shaping + optimized resin saturation. Topsheet Construction = UV stability + scratch resistance. Glass Matrix Deck & Bottom = Outstanding strength-to-weight ratio. Molded EPS Closed Cell Core = Lightweight + resistant against potential water leakage + enhanced structural integrity. EVA Deckpad = Comfortable & forgiving grip.